Hi everyone! Well, it’s the start of a new year, and it’s an excellent time to get back into your fitness routine! 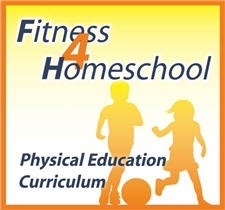 And Family Time Fitness makes it possible to blend your daily fitness time and homeschooling together! And taking care of two birds with one stone (so to speak) makes it nice for busy folks like us homeschooling families. 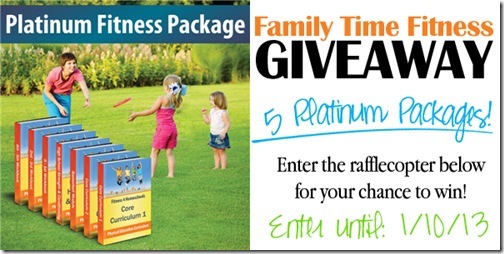 I don’t know if you’ve noticed, but I do a lot of great giveaways from Family Time Fitness. And it’s because these guys are awesome! They believe in their product, and are more than happy to give out free copies to help bless other homeschooling families! And if you don’t believe me, today they’re offering 5…FIVE…CINCO copies of their Platinum Fitness Package for homeschoolers! That’s a value of $127 for 5 of my readers! Ready to get back into the groove with some new years health and wellness? Fill out the rafflecopter below to enter to win! This would be awesome for our family. Thank you for all you share and do. I have never heard of this program but as a new homeschool mom to a 5 year old with autism…I need all the tools I can get! Thanks so much! I would LOVE to win!!! 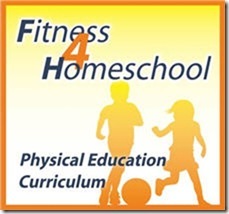 The curriculum on this sight is very helpful and useful to our homeschool class time. My daughter loves making the lapboards. It keeps her interested in reading more of the great classics.